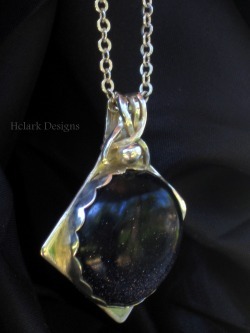 Excellent quality of sterling silver fabricated to hold a lab-created stone called blue goldstone. Stars gives birth to galaxy, galaxy gives births to planets. In my translations, I came up with trees, since they give birth to life on planets. 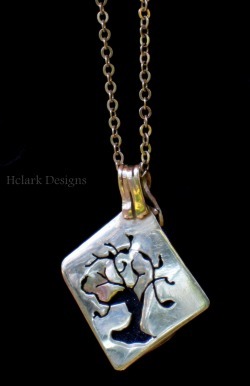 On the back of this pendant, I pierced a tree to resemble life. 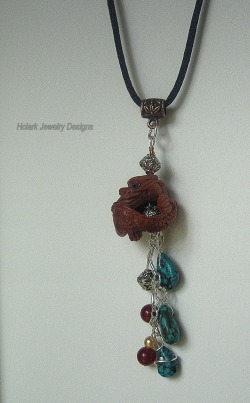 Ojime dragon pendant and gem drop clustered with spiderweb turquoise, carnelian, bali beads, and swarvoski pearl hanging on a copper bead loop. Celtic goddess name who makes art by fire! She is a craft woman who forges metal and creates art. 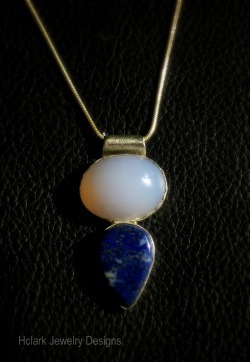 Blue chrysoprase with lapis lazuli on fine quality sterling silver. 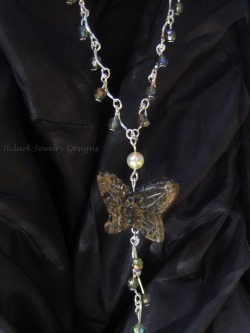 Green glass beads linked with a cultured white pearl and butterfly (jasper) drop.